JT Foxx has committed his energies to fighting scammers, frauds and anyone who tries to ruin someone’s business by slandering their reputations online. Online, most people go to review sites for validation or information, yet most of the information they read is false. Many of the review sites are nothing more than competitors making up false reviews, half-truths and libelous claims in attempt to discredit their opponents. The JT Foxx Scam website is comprised of reviews from actual students who have attended conferences, worked with actual coaches and have personal, hands-on experience with the JT Foxx organization. 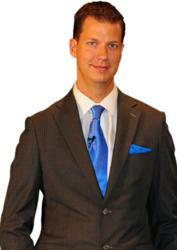 JT Foxx started investing with nothing more than a rusted out Ford pick-up truck, $974 dollars and 1 cheap suit. Now just 6 years later, he has acquired and sold over 500 properties, closed over $40 million in real estate deals. He is a serial entrepreneur and the host of the syndicated weekend radio personality of the “J.T. Foxx Show” in the U.S. and Canada.